Can CBD Oil Get You High? How Does It Make You Feel? Can CBD oil get you high? That’s an interesting question given the fact that CBD can be sourced from both hemp and marijuana. Read on to learn about the nature of CBD and THC, and answer the title question once and for all. Even if you’re not into the Cannabis industry so much, you’ve probably heard of cannabidiol (CBD) in the news due to its amazing range of medical applications. From anxiety and pain to severe seizures and tumors, people are using CBD as an alternative to conventional treatment options. It appears that CBD succeeds where pharmaceutical drugs fail. But can CBD oil get you high? 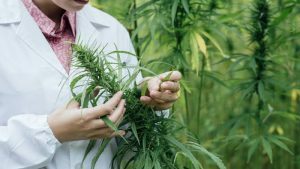 Given that CBD oil can be sourced from both hemp and marijuana plants, and it also contains cannabinoids other than CBD, answering this question may get complicated. In this article, we’ll give you both the short answer and the long answer regarding whether or not CBD oil will get you high. No, CBD oil that contains less than 0.3% THC won’t get you high. CBD is non-intoxicating by its nature, so it can make you feel more relaxed but it’s nowhere near the effects produced from a marijuana high. There are CBD oils on the market that have detectable amounts of THC (5% and up), which can make you feel high. There are also a few other cannabinoids that can make you high, such as THCV. So if you really want to know if your CBD oil can get you high, you’ll need to dig deeper into the differences between the two major cannabinoids in the cannabis plant. Let’s get into how this works in more detail. One of the main concerns felt by people trying CBD oil for the first time is whether or not the oil can provide benefits without getting them high. Once you learn the difference between CBD vs THC, the answer will become much more clear. THC is the psychoactive compound found in the cannabis plant, one that is responsible for the “high” feeling. The moment THC enters the bloodstream, it starts searching for CB1 cannabinoid receptors in the brain and spinal cord to attach to. This produces a range of different effects. This is why people feel relaxed, slightly euphoric, hungry, and sometimes sleepy after smoking a joint. THC controls mood, memory, and other vital functions such as appetite or body temperature. The biphasic nature of THC allows it to alleviate anxiety at low doses; however, high concentrations of THC are known to increase the anxiety, so it’s best to keep your weed sessions in moderation. CBD, on the other hand, has no psychoactive properties because it doesn’t directly bind to the aforementioned cannabinoid receptors. Instead, CBD stimulates the endocannabinoid system (ECS) to produce more of its natural cannabinoids and thus maintain the chemical balance in the body. CBD can ease anxiety, reduce inflammation, alter pain perception, and promote neuroprotection on top of other positive effects. Perhaps the best part of CBD is the fact that it can actually dampen the psychoactivity of THC, which is an important aspect of the entourage effect in cannabis. The entourage effect refers to the synergy achieved by all active compounds in the cannabis plant to boost their therapeutic properties while reducing any possible unwanted effects. Learn more about the entourage effect. So, now that you know the difference between THC and CBD, it’s time to elaborate more on the effects of Cannabidiol. So far, you’ve learned that CBD can’t get you high on its own. At this point, you’re probably wondering what’s going to happen after you consume CBD oil? Like we said, CBD doesn’t directly interact with any cannabinoid receptors, but it acts on 60 different molecular pathways. That being said, it’s not a cannabinoid agonist, but rather an endocannabinoid system modulator. Aside from stimulating the ECS to produce more endocannabinoids, cannabidiol slows their breakdown, allowing them to work longer in your body. The result of consuming CBD oil is described by most users as a wave of relief and relaxation running throughout the body and mind when taken orally or vaporized. Whether you’re struggling with inflammatory disorders, autoimmune disorders, or crippling pain – or you simply can’t fall asleep due to the overwhelming stress – CBD oil may come in handy. Many first-time consumers report first effects within 30 minutes after ingesting tinctures, although it may take up to one or two hours to experience the benefits of CBD depending on the consumption method. After learning about the range of its therapeutic qualities, aren’t you curious about how CBD oil is made in the first place? 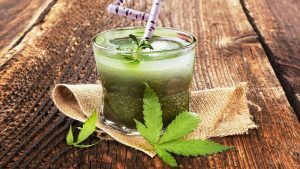 CBD companies use hemp plants to extract CBD for CBD oil. They are specifically bred to contain the highest levels of cannabidiol and the lowest concentrations of THC. Hemp growers take advantage of the fact that this variety of cannabis is naturally rich in CBD and cultivate the plants to boost this factor. What do we mean by the lowest concentrations of THC? While marijuana contains anywhere between 5%-30% THC, hemp comes with .02% – 1%, which is around a tenth of that. This, in turn, makes hemp-derived CBD oil technically legal in all 50 U.S states. CBD oil is typically obtained through supercritical CO2 extraction, which involves pushing CO2 through the hemp plant at high pressures. Some companies or “home manufacturers” use ethanol to extract the plant’s essence; this method is cheaper than CO2 extraction, but at the same time, more dangerous both for the user and for the environment. Then, the CBD extract is added to a carrier oil such as MCT, coconut, or hemp oil to increase its bioavailability. Once the oil gets bottled and sealed, it’s ready to use. CBD oil can contain other cannabinoids, especially when it’s a full-spectrum extract. Aside from non-psychoactive compounds, such as CBG, CBC, or CBD, there are two minor psychoactive molecules we’d like to discuss. 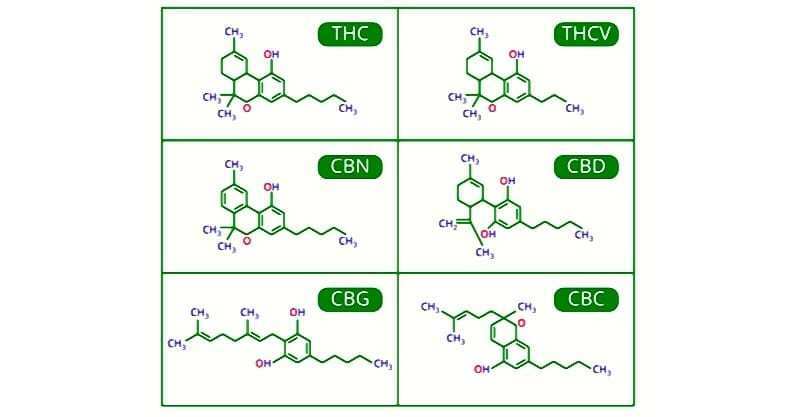 The first one is THCV (tetrahydrocannabivarin), a cannabinoid similar to THC in its molecular structure. Since it occurs only in trace amounts, it’s role is to regulate the effects of the major cannabinoids. THCV is a bit psychoactive, but not in a way that could make you anxious. 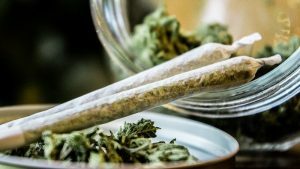 On the contrary, it can mitigate the intoxicating effects of THC while elevating the euphoria and improving focus. THCV may also reduce panic attacks, help with diabetes, stimulate bone growth, and inhibit the development of neurodegenerative diseases. The second ‘psychoactive’ cannabinoid we’d like to mention is CBN. This molecule is created when THC is heated or exposed to oxygen, which is why CBN can be more present in cannabis that was aged or stored incorrectly. While not directly psychoactive, CBN produces a powerful sedating effect, which gets amplified in combination with THC. Moreover, CBN supports regeneration processes and it can be useful in healing fractures. 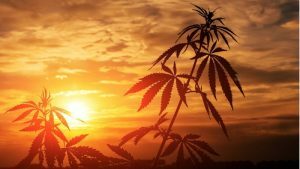 The advanced technology and changes in the approach to cannabis have given rise to a whole set of different hemp and marijuana goods. As mentioned, CBD can be sourced from both hemp and marijuana. Marijuana CBD oil is obtained through the same extraction process as its hemp counterpart. It also comes with significant levels of THC, ranging from 5% to 20% depending on the CBD/THC ratio, so yes, it can get you high. If you want to buy marijuana-derived CBD oil, make sure you’re living in a state with medical or recreational (or both) marijuana laws. Otherwise, you can get into trouble with the law. Due to their negligible THC content, hemp-derived CBD products aren’t capable of getting you high. They do, however, allow you to experience all the other benefits of cannabis. Like we said, CBD oil may get you relaxed, relieved, pain-free, or invigorated, but getting high is not an option in this case. Contrary to marijuana CBD oil, hemp-derived CBD is legal and can be bought like many OTC supplements. 1. How Can I Benefit From CBD Oil? It all boils down to what you’re going to use it for. Many people take CBD oil as a health supplement to boost their well-being and keep the body in homeostasis. But CBD has been shown by numerous studies to hold great potential in treating a range of medical conditions, from mild ailments to chronic diseases. 2. How Do I Use CBD Oil? You can administer CBD oil through several different routes. Most CBD consumers use CBD oil orally (tinctures, capsules), but throughout the last couple of years, vaping products have become the new trend. You can vape CBD flowers, e-liquids, or concentrates. For localized pain or skin conditions, CBD topical creams are the name of the game. They reduce inflammation and come packed with nutrients and vitamins for your skin. 3. Are CBD Oil And Hemp Seed Oil the Same? No, they are actually worlds apart. Hemp seed oil is created through cold-pressing the hemp seeds, so it’s actually void of CBD and other cannabinoids, as they are found in the resinous coating of cannabis leaves and flowers. However, hemp seeds are a great source of protein, vitamin A, and they offer the optimal ratio of Omega-3 to Omega-6 fatty acids, which makes hemp oil a valuable product in a well-balanced diet. You can find hemp oil at grocery stores, typically on shelves with organic foods. It depends on which CBD oil we’re talking about. Are you looking for marijuana-derived CBD oil? Then you’ll need to head over to your local marijuana dispensary or order it online via weed order delivery service. That is, of course, if your state allows weed for recreational or medical purposes. If, on the other hand, you have the hemp-derived CBD oil in mind, check if there’s a vape shop, health store, or brick-and-mortar specialty shop selling CBD goods. Alternatively, you can order CBD oil online, which we totally recommend. Buying CBD oil online allows you to make a decent background check on your future supplier, not to mention that you can stumble upon nice wholesale deals on your favorite CBD products. So… Can CBD Oil Get You High? To wrap it up, no, it can’t, as long as the CBD has been sourced from hemp plants. Industrial hemp is bred to maximize the CBD content while lowering the levels of THC so it doesn’t have any psychoactive properties. Hemp-derived CBD oil can’t get you high. Don’t confuse it with relaxation or sedation, because at the same time, your mind will be clear and CBD won’t directly impact your behavior. Marijuana CBD oil is a different story. It comes way higher levels of THC, so not only can it get you high, but it may also be less available due to the legal status of marijuana in most states and countries. The best method to make sure that your CBD oil won’t make you high is to understand the difference between CBD vs. THC. Once you’re done, read the label of your CBD oil and check for THC levels. If they’re below 0.03%, fear not, you’re in the clear. We hope you’ve enjoyed the article! Leave your comments below.